This glamorous celebrity-owned ocean & mountain view estate has it all. Completely renovated, this private mountain top retreat is perfect for entertaining with soaring ceilings, an open floor plan & the latest in top-of-the-line luxury design. Enjoy a gourmet chef’s kitchen with Fisher & Paykel appliances, endless patios & outdoor living areas, full surround sound indoors and out, salt water lap pool, gym, gated astroturf playground area & newly resurfaced North/South tennis court. Four large bedrooms, all suites! Including two masters with views. Main master adorns a steam shower & whirlpool tub. Hardwood floors & tile throughout. 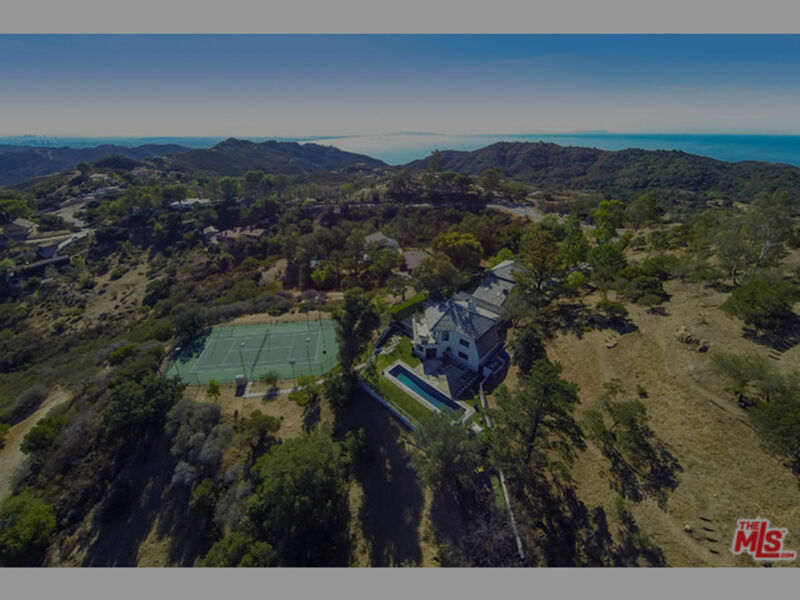 Hiking trails sprawling on nearly 3 acres of land & enjoy panoramic views to Catalina and beyond! All this & Award winning Santa Monica Malibu Schools. It can’t be beat.